Have you heard about the new Jolly Bar precut? The Jolly Bar is a 5” x 10” precut that is exclusive to the Fat Quarter Shop. You can see all of the Jolly Bars (and patterns) available here. I got the chance to play with this Boathouse (by Sweetwater) Jolly Bar last week and see what fun idea I could come up with. Before I show you the finished quilt, I want to show you these fabulous Boathouse fabrics. I’ve always loved nautical prints and colors and this line is right up my alley. The quilt I designed is called Jolly Pinwheels and I’ve created a free downloadable (and printable) pattern as well! The finished quilt measures 57” x 63.” It was fun to work with a precut that fell between the charm pack and the layer cake. Sometimes I find that the charm square is too small for what I want, and the layer cake is just too big. It's nice to have another option now! 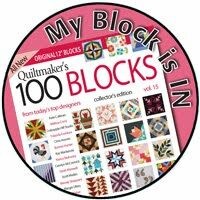 The Jolly Pinwheels pattern shows a fast and easy way to make the half square triangles (used on the top and bottom borders) at the same time you’re making the blocks. I wanted to give the appearance of wind swirling around the pinwheels so I quilted it with all over swirls. My youngest son and I went down to the lake near our house the other day to see if it was frozen yet (and to throw rocks, of course!) and I brought the quilt along to get some photos. It was such a gorgeous, clear day and the water was so perfectly calm. The harbor area was a bit frozen – the smaller rocks we threw sat on top of the ice, but larger rocks smashed right through with a very satisfying sound. We had a fun hour down at the lake and honestly if you're needing to take photos of a nautical quilt you really should head to the nearest body of water, right? You can find the free pattern here or print it right from the window below. If you make a Jolly Pinwheels quilt I’d love to see it! To see the other Jolly Bars available, click here. Would you like to win one? 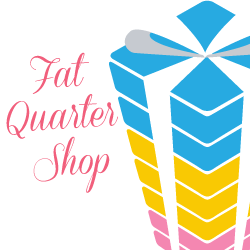 The Fat Quarter shop is giving away a Jolly Bar to one of my lovely readers! To enter the giveaway for a Jolly Bar of your choice, just leave a comment below. Any ol' comment at all. That's it! Giveaway will be open until Saturday, November 29th at midnight. I'll announce the winner here on Monday Dec 1st. Giveaway is now closed -thank you! Nice quilt Andy! Boat house is a lovely collection. What a fabulous pattern! Jolly Bars sound a great idea! What a fun quilt!!! So cute, and I love the way you used the HST's you trimmed off. Brilliant!! Very nice pattern! Thanks for sharing! gad.. your last picture is amazing, I would be so scared that the quilt would fall in the lake! love those fabric colors & what a fun quilt! Great design! Love the quilt! I've been awaiting this pattern since I got a sneak peek at the first few blocks last week. Your use of the HSTs is genius! Confession time: I ordered a layer cake of Boathouse so that I could make this quilt and still have some fabric leftover for another project. Great quilt! Thanks for the pattern I've downloaded it and added it to my bucket list. Great pattern to use the jolly bars. What a beautiful day too. Great quilt pattern, it shows off the fabric wonderfully. What a beautiful quilt and choice of fabrics! Wonderful quilt pattern. Thanks for sharing! Thank you for the pattern. Thank you for the story behind the pictures. Thank you for the chance to win a Jolly Bar. I'd choose Boathouse, too. Love Sweetwater designs. HI, Thanks to you+FQS for sharing! Lovely quilt and a perfect setting for your photos! As I was reading the others thoughts and patterns on the Jolly Bars, yours is the one that I want to make first! I am falling in love with the Jolly bars. They look like a real treat to work with. I really like your pinwheels. Lovely quilt. What a fun happy quilt! I love that you used the trimmed off hst's. Your pictures by the lake are lovely! Very clever use of the Jolly Bars! Fun quilt. Nice fresh looking easy quilt. I am adding your pattern to my library. I'd like to win Lake House. Your quilt is so fresh and colorful. Thanks for the chance and the free pattern! Beautiful quilt. These Jolly Bars are a fantastic idea. Thanks! Please click on the delaineelliott above for my emai link. Lovely! The details on the top and bottom are great! Your quilt looks fresh and easy. My kind of project. Thanks for the free pattern! Love it! I'm anxious to try these Jolly Bars. I really like your pinwheel quilt. I love this pattern using a jolly bar! Can't wait to try it! 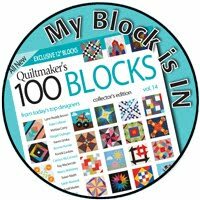 I love the secondary pattern that the blocks in your quilt make together - very clever! What a cute pattern! I can see using this with all sorts of fabrics...holiday, baby, patriotic. Very versatile! Thanks for sharing it and thanks for hosting this giveaway. Love your pinwheel quilt! Thanks for the chance to win! Just saw your quilt(love it!!) on The Fat Quarter Shop Instagram feed and had to pop right over! I Love these Jolly Pinwheels! So cute! Thanks for the tutorial, now I have to get my hands on that fabric. I love pinwheels - The fabric is great! Thank you! Your Jolly Pinwheels quilt is very cute! Thanks for sharing your pattern. I like your quilt. Very simple and yet dynamic! I love this fabric!!!! What a great pattern and print for a boys room!! Thank you!!! Love your pinwheels, came out great. What a FUN quilt! And I love that photo on the rocks by the lake! Gorgeous! Great quilt, the spiral quilting really sets off the design! I really like this one! I might have to try it soon. Cute quilt! I love Boathouse! Thanks for the great pattern and giveaway. Thanks for the pattern, I love Sweetwater fabric. A light and breezy quilt. A great design. Thanks for sharing the design and for offering a giveaway. I'm with you Andy, sometimes charm squares just don't do it and layer cakes have too much excess. The Jolly Bar is the perfect size for all kinds of patterns. Thank you for sharing. What a great pattern-I live near the sea, so it's definitely on the to-do list! I have been aching to get my paws on a Jolly Bar ever since they came out! I am loving the nauticals too! Anything about the waters and reds and blues and whites are just gorgeous! You would make me so jolly if I won a jolly bar from your site. Thanks Andy! Love your pattern and quilt!!! Thanks for the chance to win a jolly bar! Pick me PLEASE. Thanks for having this give away. I love your pinwheels! Will definitely be making this pattern! Very nice work. 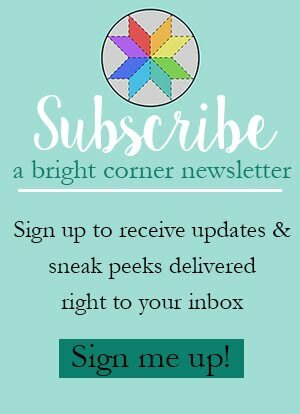 Lots of tutorials on your blog - thanks and thanks for the giveaway. This pattern is perfect for these fabrics! Love them both! Thanks for the pattern and for offering the give away. Thanks for the great pattern & thanks for the chance to win. That's a good one! Very pretty. i'd pick Red, white, and free by Sandy Gervais. I love your pinwheels and the swirly quilting! Thanks for the fun pattern and the chance to win. Your quilt looks wonderful! I think you picked just the right quilting motif for it. This pattern would be great for charity quilts. Thanks for the tutorial. I love the fabric you chose. Fun! I've never heard of Jolly Bars 'til now. I like your quilt. Thanks for the chance to win! Your Jolly Pinwheels quilt is lovely! I've never heard of Jolly Bars before! Andy: Sorry that comment above is from me, #77. Someone else was signed in my computer, so it went to unknown. That's a good sized quilt for relatively little work - great for gifting. This pattern is so awesome! And I love what you did with the Sweetwater fabric. Could hardly wait to get home from work to print it out (yes, I look at blogs on my phone during breaks!) The triangle border is genius. I love this pattern! Sometimes you need a quick, simple pattern but still want it to look GREAT! This is it! Thanks for the free pattern! I love your quilt. I really like that you used the bonus triangles too. It's really cute - love it! what a great pattern and a good way to introduce the new precut. I'd love to win one and give it a try - Thanks for the opportunity. What a gorgeous quilt! Thanks for the chance to win! Thank you for a great pattern! Love the Jolly Bars! I like their persimmon. But your boathouse quilt is so tempting. Very cute pattern idea. I love precuts! Thanks for th epattern and the Jolly bars look very easy to use . I love everything sweetwater produces! Beautiful. wow your quilt is so very pretty. I love the fabrics. Thank you for the pattern. 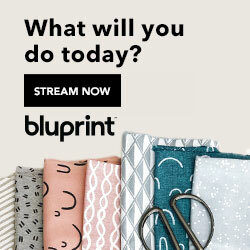 I love your quilt and this fabric line is awesome too! Actually, anything by Sweetwater is a favorite for me!! Very nice combination of fabric and design. Your pattern is great. Thank you so much for sharing it. I love the pinwheels! Your quilt looks right at home by the water. Love the pinwheels and this new pre-cut. Jolly Bars will give us another chance to try a line and still end up with a nice size quilt. Beautiful quilt! I'll have to try it! Thanks for the chance to win! Your quilt is refreshing and bright. thanks for sharing. Nice quilt. Have a wonderful Thanksgiving. Very cute quilt! I love the red binding! Sure makes that quilt special! Thank you for the tutorial! ...and thanks for the chance to win! I love the colors you use in this quilt. Love the pinwheels- and I also love boathouse so much! Well I put in a comment and then signed in who knows? Anyways love the quilt. I have down loaded the pattern. Wish I could see how you quilted it because of all the open space. 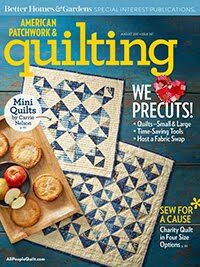 Just what I need, another shortcut for sewing up fabulous quilts! Love your pinwheel design, and I think this new cut is a winner! Beautiful quilt! And thankd for the giveaway! Pinwheels are a favorite of mine so this is a must for me. Thanks! Love your quilt photo at the lake. So pretty. Fabulous quilt and pattern and love your fabaric combo.It`s the first time I hear about jolly bar and would be great play with them.Thanks!! Your quilt is beautiful! So fresh and lovely quilting. Would love to play with some Jolly Bars. Love the colors, love the prints, love the quilt!!! Thanks for the free pattern! I'm really keen to try a jolly bar so fingers crossed. And the pattern is great. Sounds like a lovely in-between size. 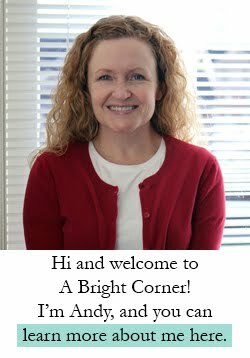 Thanks for the bright pictures! Nice, pretty fabrics! Thanks for the giveaway! Lovely bright quilt photographed in a perfect setting! I've printed the pattern too! Love the pattern and the fabric is gorgeous!!!!!!!! What a cute quilt:) thanks for the chance to win!! Love your beautiful quilt and the lake setting is gorgeous. What a great setting for such a beautiful quilt! Thanks for sharing your pattern! I like the swirly quilting! Lovely quilt and great fabric! Oh my gosh that photo with the quilt on the rocks is stunning! Great job! oh the creations we can make with these JOLLY bars ....just in time for quick and easy Christmas giving ! I'd love to have any ( or all) of them, but the Boat House is my first choice !! I love the little border you added on this quilt. I love your quilt, the pattern looks easy enough that I could do it, yeah! Thanks for the giveaway, I love FQS! Very pretty quilt! I pre ordered a Jolly Bar-going to try your pattern when it arrives!